What can you say about two people as amazing as Erica + Cameron?!! Their wedding was seriously a dream. I don’t think I’ve ever been to a wedding where you could tell that every single person there absolutely adored the two getting married. Everyone was just so happy they were getting married and ready to celebrate! 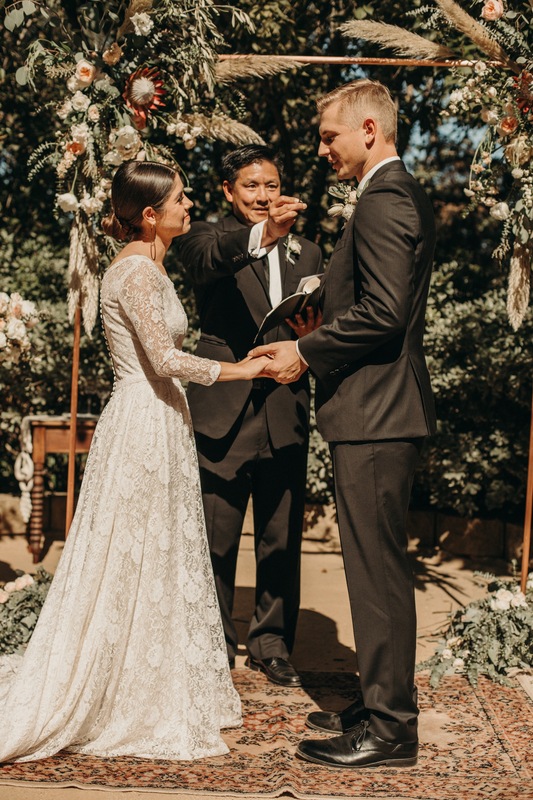 One of the most amazing parts about this wedding is that Erica’s dress (which is so incredibly stunning right?!!) was also worn by her mom and her grandmother. How beautiful is that?! I cried so many times during this day. I don’t think there was a dry eye in the room during the speeches, especially during Erica’s sister, Gabriella’s speech (who I’m incredibly honored to be shooting her wedding in December!!). It was just an all around perfect day. 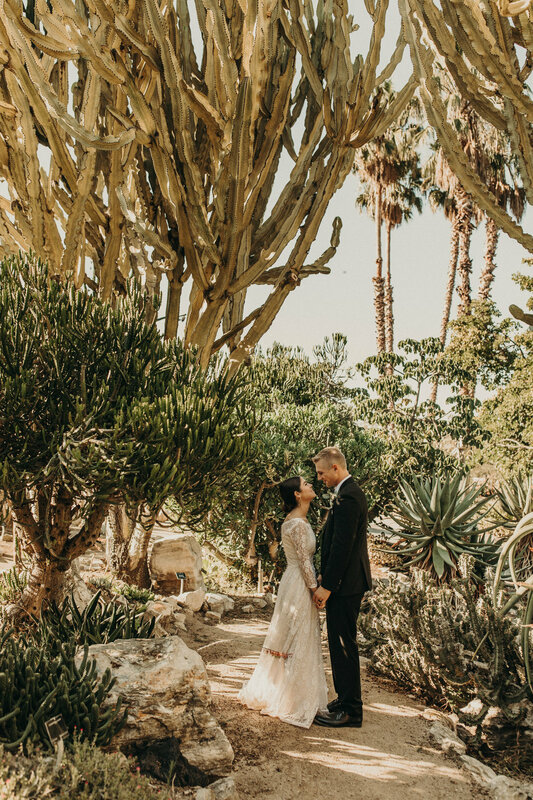 The ceremony venue was nestled in South Coast Botanic Garden and we took portraits in the amazing succulent garden. The reception was at the Elk’s Club in Ranchos Palos Verdes. The did both venues up with beautiful details and amazing florals from Flwrs Frm Haven. It’s so fun putting together these images and living the day all over again!